Epiphany Lutheran is happy to have members who live in all areas of Douglas County, including Castle Pines, Highlands Ranch, Larkspur, and other neighboring areas. Our church resides in Castle Rock and we are privileged to be a part of this community. 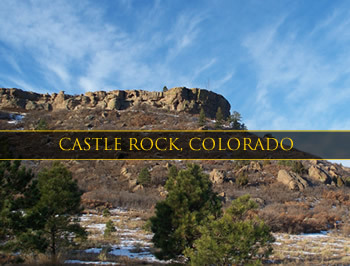 Castle Rock is a picturesque, historic town situated midway between Denver and Colorado Springs. It is ideally located along the Front Range of the magnificent Rocky Mountains with an elevation of 6,202 feet above sea level. A reputation for small town hospitality, is the hallmark of our community and Castle Rock has received recognition by numerous national publications as one of the best towns to live, work and play. You are able to experience everything from unique boutiques and one-of-a-kind restaurants in the historic downtown area to the Outlets at Castle Rock. We, at Epiphany Lutheran understand the importance of building a strong community for our families to thrive in. Castle Rock affords us the opportunity to serve, support and celebrate our town in many ways. There is always something fun going on, usually with the flair of ‘days gone by’ which is so difficult to find today. Here are a few events that you may want to mark on your calendar and you just may see Epiphany Lutheran there too!